As of today, when you fire up a new Android phone for the first time and start logging in to your Google accounts, Google sends you an email notifying you of the access that is being granted. Going forward, they’ll also send instant native notifications to your other Android devices to let you know in real-time what another device is up to. In a blog post to the Google Apps Updates blog, Google says that if you have multiple devices, you will see these new notifications on all devices at the same time. 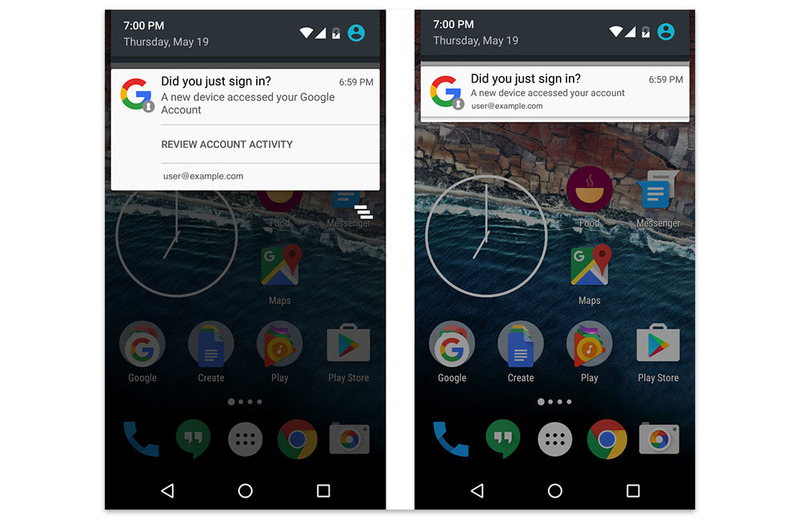 Through these notifications, you can then decide if the access to your Google account on another device is fine or if you need to look further into it. 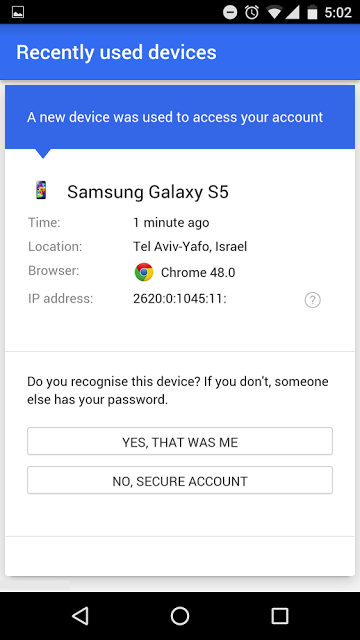 The notification lists a button to “Review account activity” that shows you the device in question, its IP address and location, and then gives you the choice to either allow the phone to continue on with access or to take additional security measures by securing your account. This new feature should start rolling out immediately and will reach everyone within the next few weeks.